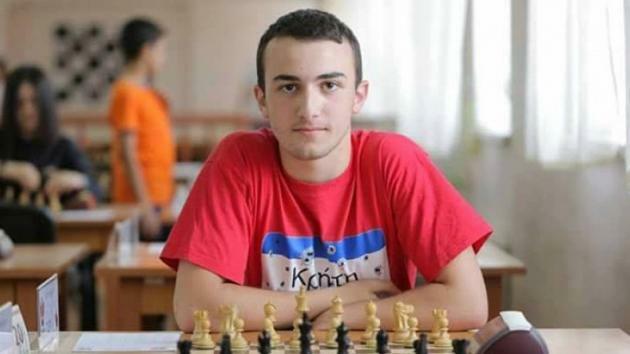 In the first round I played one of the best junior players from Armenia, Grandmaster Aram Hakobyan rated 2554. After my last tourney I decided to add new openings to my repertoire and I used one of the new openings, the Ben-oni defense in this game. The center was closed and I made the f5 advance to start an attack. He blocked the pawns, but gave me a passed pawn on e4 and space advantage on the kingside.